RFID Library Management Systems ease the management of libraries and book inventory. 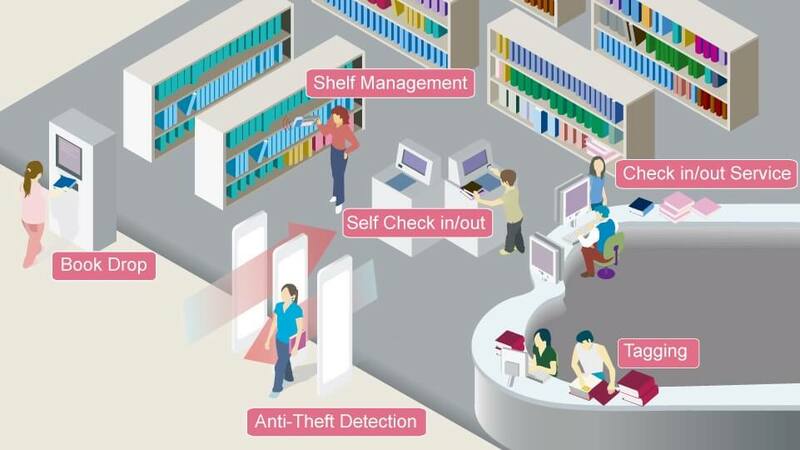 UHF RFID can reduce manpower on efforts of check in/out books, preventing theft and tagging books. 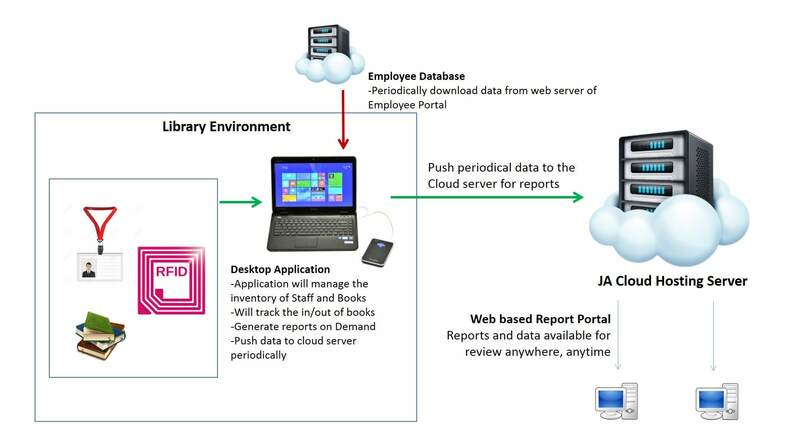 JA Security can deploy simple RFID based solution for offices which has a library for its employees. How does the borrowing or return of book process work? Library in-charge scans Staff ID of borrower on the RFID Desktop Reader. Library in-charge scans Book on the RFID Desktop Reader. Software records that the book is borrowed or returned, with timestamp. Data captured in Library Management CMS. Library Management system sends email alerts upon borrowing and return, as well as email reminders as due date of return nears. JA Security offers a number of RFID solutions to fit your warehouse management needs. Email info@ja-si.com or call +65 94555414 for more information. We provide fully customized RFID solutions in Singapore.